Mark C. Raskoff is the managing shareholder of Bishop | Barry and a member of the firm’s Insurance Coverage and Bad Faith Litigation Defense Department, with primary emphasis on environmental coverage litigation. He is also a member of the Appellate and Administrative Practices Departments. Mr. Raskoff has been involved in cutting edge, complex litigation issues from his three-year clerkship at the California Court of Appeal, through his more than 30 years experience in complex insurance coverage litigation, including disputes under commercial general liability, E & O, professional liability policies, and reinsurance certificates affecting environmental claims. His other significant area of practice concerns administrative law, and representing day care providers. His products liability experience includes the first California appellate case to test whether market share liability theories could be imposed against a pharmaceutical manufacturer, to catastrophic automobile injury trials, to being the supervising attorney of a target defendant in the MGM Hotel Fire case. Mr. Raskoff has also litigated complex construction defect cases on behalf of general contractors, owners, and subcontractors. Mr. Raskoff has substantial experience in environmental coverage litigation, including trial. His coverage litigation experience includes Shell v. Winterthur Swiss Ins. Co., Montrose v. Canadian Universal; Stonewall Ins. Co. v. City of Palos Verdes Estates; Titan v. Aetna Cas. & Sur. Co.; Northrop v. American Motorists Ins. Co.; Aerojet Gen. Corp. v. Fidelity & Cas. He was lead trial attorney in Northwest Steel Rolling Mills v. Fireman’s’ Fund Ins. Co. (U.S. Dist. Ct. W.D. Wash.) which resulted in a verdict rejecting “all sums” liability, and holding the insurer’s liability was only for that portion of damages occurring during the policy period. Mr. Raskoff’s litigation experience also includes a successful resolution of a multi-million dollar dispute as to an insurer’s control over asbestos defense counsel and litigation billing practices. He has also been involved in drafting policy forms concerning appropriate exclusions for environmental liabilities, and has specialized in allocation issues both as to inter-insurer disputes and as between insurers and policyholders. Mr. Raskoff also has extensive coverage and litigation experience concerning Comprehensive General Liability and Professional Liability policies. He argued Aetna Cas. & Sur. Co. v. Superior Court (Watercloud), which held there was no coverage for patent infringement. Mr. Raskoff received his B.A. from Northwestern University in 1972, and his J.D. from University of the Pacific, McGeorge School of Law in 1976. He was a member of the Pacific Law Journal from 1975-1976, and author of the Comment, “Comparative Negligence in California: Multiple Party Litigation,” 7 Pacific Law Journal, 770-810, 1976. 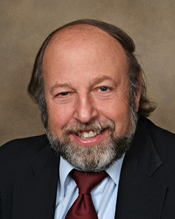 Mr. Raskoff is a member of the State Bar of California, Northern California Association of Defense Counsel, and Panel of Arbitrators, National Futures Association. He is admitted to practice before all courts in the State of California, as well as the U.S. District Courts of California, for the Eastern, Central, and Northern Districts, and the U.S. Court of Appeals, Ninth Circuit. Mr. Raskoff is a frequent speaker on bad faith claims handling, right to independent counsel, date of loss, and mold litigation and coverage issues. His insurance publications include: Co-Author: “Environmental Insurance Litigation: Law and Practice and Environmental Insurance Litigation: Practice Forms,” West, 1992; Author: “Ethical Issues in Bad Faith Litigation,” NBI Seminars, January 2008; “Bad Faith Insurance Issues,” NBI Seminars, 2008, 2007, 2003. “Additional Insured Issues,” Mealey’s Additional Insurance Conference, December, 2004; “Mold Insurance Coverage – Emerging Insurance Perspectives - New Policy Forms, Interpretation, Insurance Regulatory Responses,” Mealey’s Mold Insurance Litigation Conference, September 2002; “Mold Contamination Litigation – Class Actions,” Mealey’s Mold Litigation Seminars, October 2001; “Mold Litigation – Liability and Coverage Issues” (2000) ECMA, reprinted Mealey’s Mold Litigation Seminars, February 2002; “Show Me the Money – Allocation Issues From Policyholder, Primary, Excess, Reinsurance Perspectives,” ECMA, April 1999; “Arguments Advanced by Insureds for Coverage of Environmental Claims,” 22 Pacific Law Journal 771-824, 1991; “Cumis Counsel: An Uncertain Alliance With Friend Or Foe”; Co-Author, “Legal Damages versus Equitable Relief in California Pollution Cases: What Does the Future Hold?” 2California Insurance; “The Pollution Exclusion in Liability Insurance Policies,” 13 Los Angeles Lawyer 20, 1990; Editor, “California Unfair Settlement Practices Regulations Deskbook,” 1993. His publications on administrative law include: “Day Care Problems and Litigation,” BBHH&R, 2006, and lectures on administrative law, Co-Panelist: “Avoiding Day Care Problems,” National Assoc. Family Child Care Providers,” NAFCC Annual Convention, 2007; “Avoiding Day Care Problems,” Calif. Assoc. Family Child Care Providers, CAFCC Annual Convention, 2007.